Make a dish using all seasonal produce. Yay, one of my favorite prompts so far! I love using seasonal produce. 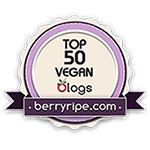 In fact, I struggle very deeply with using non-seasonal produce because of the carbon footprint I know it creates as a result. If I could, I would eat only seasonal and local food, but I would definitely miss coconut. Today's main dish is pizza, as I think that's one of the best ways (besides pasta dishes) to really highlight seasonal produce. I used this yummy butternut squash sauce from Minimalist Baker (I used to live in Portland, and know exactly what pizza shop this was inspired from! ), fresh corn, and fresh tomatoes from my garden (topped with rosemary). 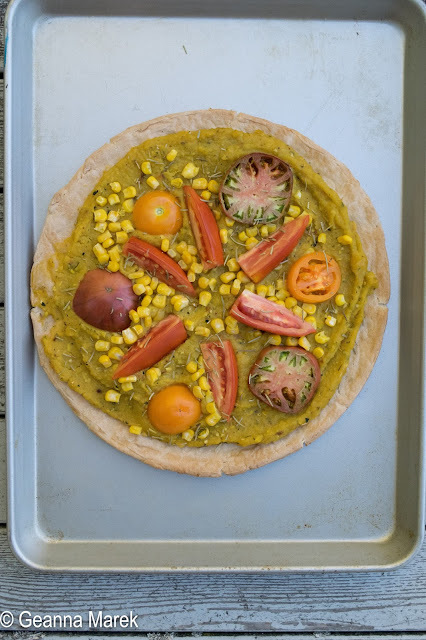 This kind of garden-fresh pizza is just what I love about seasonal produce: you can literally taste the sunshine in each bite. 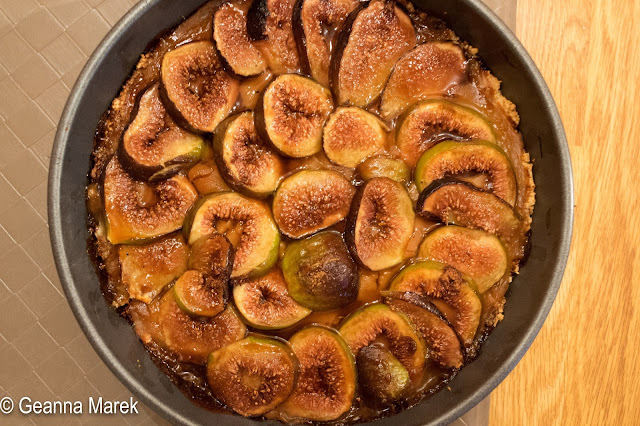 For dessert, I made a delicious fig tart. I made this pie crust from Chocolate-Covered Katie, this vegan pastry cream (substituting arrowroot for flour, using coconut sugar instead of cane sugar, and omitting the lemon zest), and covered it with fresh figs from our overflowing fig tree.